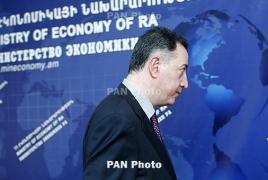 PanARMENIAN.Net - The government of Armenia has applied to Moscow for a reduction of gas price, the Minister of Economy told reporters Wednesday, January 20, PastInfo reports. Chshmarityan failed to name the exact figure, noting, however, that a possibility of price cut does exist. According to non-official sources, the price of natural gas imported from Russia will drop by 20%.